A statewide effort to preserve and re-invigorate the Iñupiaq language converged in Nome in June. In the second annual Ilisaqativut gathering, 20 second-language learners immersed in their ancestral language for two weeks, working with fluent speakers, sharing dialects, and placing Iñupiaq in the context of the tundra it comes from. For some, it was about translating family memories into new experiences; for others, it’s a way to help remind Iñupiat of their roots in a Westernized, modern Alaska. Listen above to hear more from the voices of Ilisaqativut. 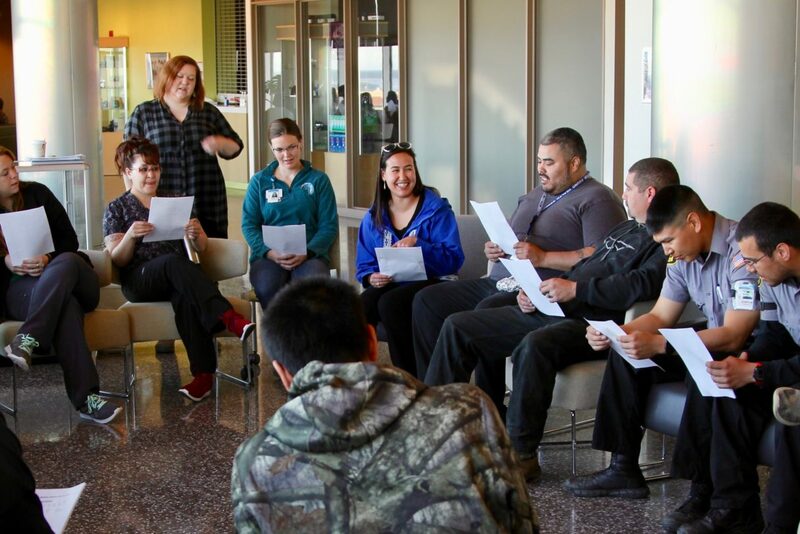 Image at top: Instructors taught NSHC employees the Inupiaq alphabet, which includes 28 distinct sounds, not including vowel combinations with their own sounds (photo: Reba Lean, NSHC).